Miami Beach, FL – Drake gave students at Miami Senior High School quite the surprise on Monday (February 5). The teenagers’ school day suddenly turned into a video shoot when Drizzy showed up to film part of the video for “God’s Plan,” which broke U.S. Spotify streaming records upon its release and currently sits at #1 on the Billboard Hot 100, on their campus. The 6 God also donated $25,000 to the school and announced he would also be buying them all new school uniforms, NBC Miami reports. 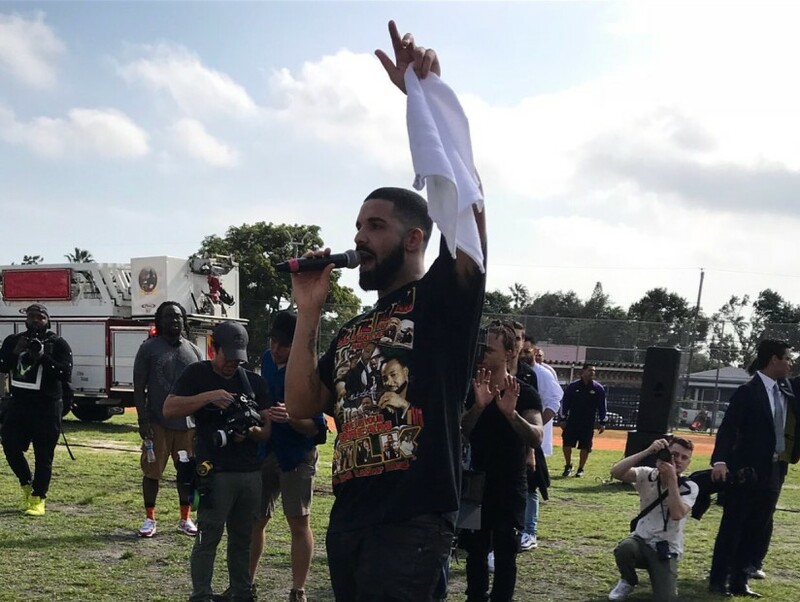 After making a bunch of high school kids’ day, Drake made his way to the University of Miami and was met with a massive crowd. Drake released “God’ Plan” as part of his his surprise EP Scary Hours. The single debuted on the Hot 100 at #1 and remains in the top spot for the second week in a row.